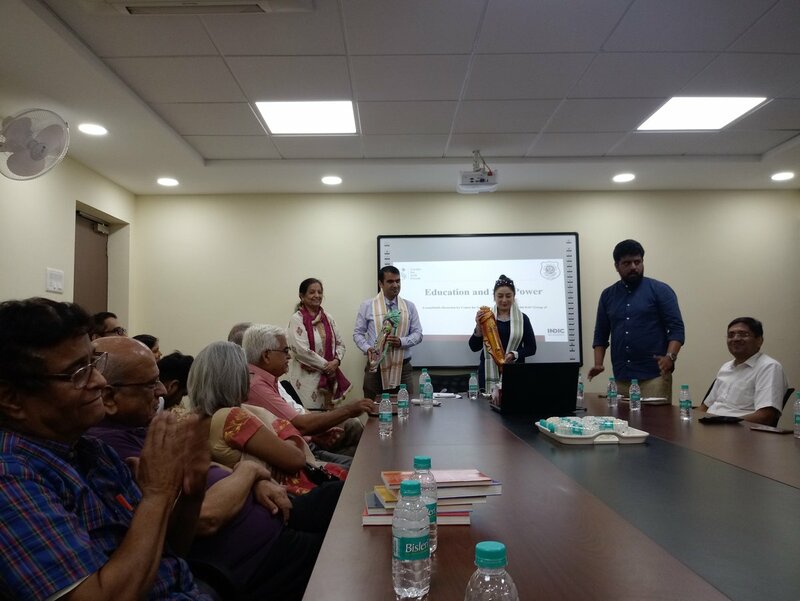 I was invited, as an alumni, to attend a round-table discussion on ‘Education & Soft Power with Academicians’, organized by DAV Group of Schools, Chennai in collaboration with Center for Soft Power, New Delhi. The speakers were – Prof. Gulab Mir Rahmany (Associate Professor, Political Sociology, Afghanistan) & Prof. Dilafruz Nasirkhodjaeva (Sr. Researcher, Economics, Uzbekistan). Soft Power is the influence exerted by one culture/country over another by methods other than violence, force, or coercion. Some good examples of India exerting soft power in the Asian region was given by Prof. Gulab from Afghanistan. Today, most of the youth in his country are influenced by Bollywood. So much that they demand the same clothes worn by Indian film stars! He also mentioned that Indian soap operas (TV serials) like Kyonki Saas bhi Kabhi Bahu thi are very popular in Afghanistan – he sometimes skips news for family members to watch those! It seems even Uzbekistan was not spared of Indian (movie) soft power – Raj Kapoor, Shah Rukh Khan, etc. are a big stars there. When the speaker was young, she was not able to get tickets to a bollywood movie (Disco Dancer – as it was mostly house full) and a TV channel played the Indian epic ‘Mahabharata’ back to back! Education seems to be another way in which India exerts soft power as both the speakers studied in Osmania University, Hyderabad, and many students from the two countries regularly come to India for higher studies. India is increasingly preferred over China and other countries for education due to the courses being taught here in English. The speakers reiterated their preference to the use of soft power to influence other regions – over hard power (like military). Soft power leads to more cooperation and creates win-win opportunities in terms of trade, man power, technology, education, etc. while hard power leads only to subjugation and exploitation. I can only present a small summary of the one-and-a-half-hour discussion here – I learned much more about the two countries, and even about India! I enjoyed this discussion and am looking forward for more such. I am sure it must have been a good session. We keep hearing of the soft power that our country has. Unlike conventional power, we don’t get to hear so much of soft power being put to use. We generally tend to ignore the impact of soft power, and that might be its biggest strength! I have two questions. To these foreigners, India means Hindi and Hindi Movies only? Is soft power same as brain washing? I think Soft power is the same as influencing. I guess they are exposed only to bollywood and hindi movies, so they naturally come to think that Indian movies are hindi movies! But our own Tamil movies have exerted their soft power in countries like Japan and in S.E. Asia, etc.